The kids at school want to know why Becca is wearing glasses and a patch. Instead of telling them she has amblyopia, Becca leads her friends on imaginative adventures to explain her new fashion accessory. Mitch Vane's illustrations capture the spunky exuberance of this resourceful heroine. 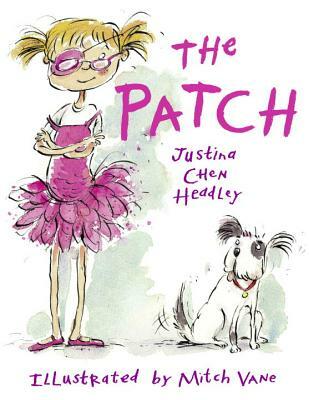 Justina Chen Headley is the author of NOTHING BUT THE TRUTH (AND A FEW WHITE LIES (Little, Brown), a young adult novel. She lives in the Pacific Northwest.